Med Revue is an annual musical theater performance put on by medical students (and also dental students), where students from all four years of medicine come together to put on 4 incredible shows packed with puns, parodies and plenty of laughter. Check out the Facebook page by clicking here! Auditions for the 2018 show will be coming soon! Don’t miss out on your opportunity to be part of a one in a lifetime experience. 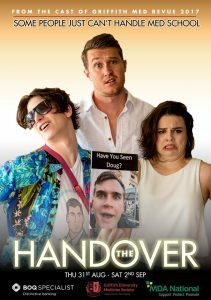 The 2017 Griffith Med Reuve- The Handover! 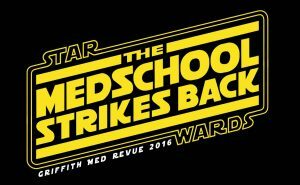 The production for 2017 is called Star Wards: The Medschool Strikes Back. 2015 Griffith Med Revue was called Medvengers: Age of Ultrasound. A full length recording is featured below.